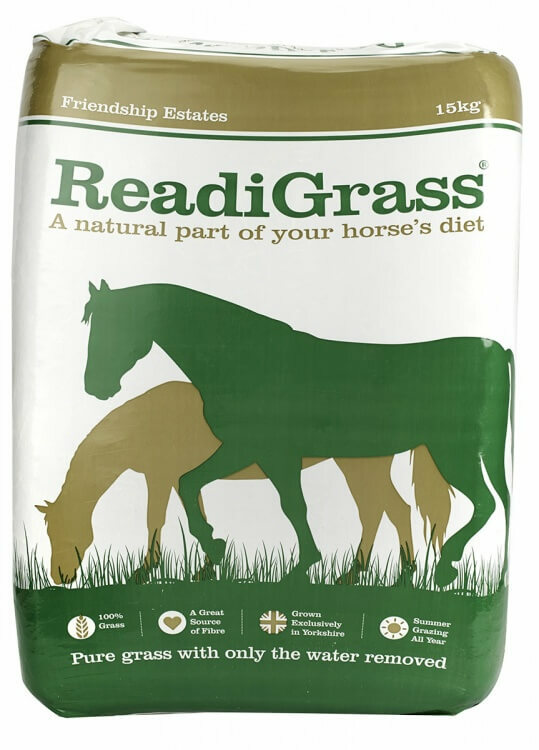 ReadiGrass is a premium quality forage which is ideal for horses and ponies without access to grazing. The original dried grass, it is grown, harvested and dried with great care on our farm in Yorkshire - absolutely nothing is added. Water is removed gently from the grass in our low temperature drying process, retaining the natural flavours, wonderful smell, colour and most importantly the high nutrient value of fresh grass. This gives a feed that is more nutritious than hay yet still contains the digestible fibre essential for every horse’s health. For horses with limited access to fresh pasture it’s as close to fresh grass as you can get without being in a field! 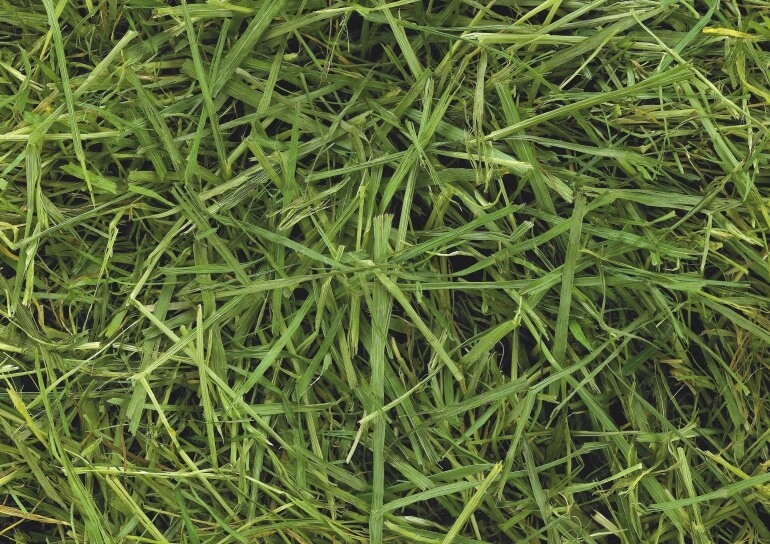 ReadiGrass is available in 15kg bales. Please also see Friendly ReadiGrass for small animals. 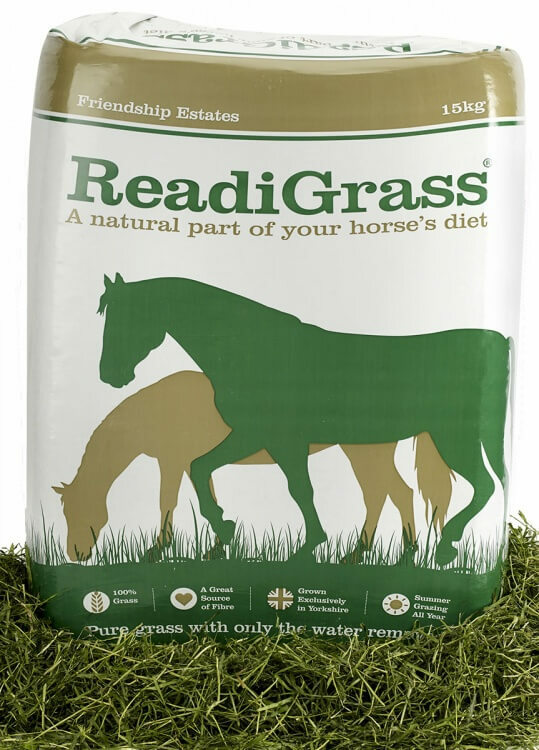 Readigrass is available nationwide from all good feedstores. Example of Daily diet for a 500kg horse.